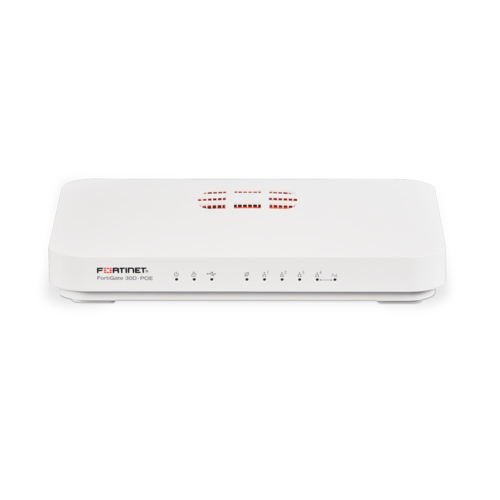 FortiGate/FortiWiFi 30D Series appliances include all of Fortinet’s unified threat management (UTM) capabilities including firewall, IPS, application control, VPN, and web filtering — all managed from a “single pane of glass” console. They also include the latest technology in advanced threat protection, designed to defend against Advanced Persistent Threats (APT). The optional FortiGuard® security subscription services deliver dynamic, automated updates and ensure up-to-date protection against sophisticated threats.Uses FortiOS Lite, a streamlined, easy-to-use version of the world’s only purpose-built network security operating system, and the FortiASIC “System on a Chip” (SoC), Fortinet’s custom ASIC technology, to ensure the most comprehensive and highest performing security platforms.By consolidating multiple security technologies into a single appliance, the FortiGate/FortiWiFi 30D Series eliminates multiple hardware devices and software solutions to simplify security and reduce the total cost of ownership. With customization options, you can configure the device to implement all or only the security technologies you need. Skytel Tele-Services Pvt. Ltd. conceived its business operation in the year 2011 from its headquarters located at Kolkata, West Bengal (India). We have brought forward the latest in the VoIP and technology world and offers unprecedented hardware and technological solutions. As a Private Limited Company in the industry, we are the leading wholesaler and trader of a huge array of products such as Rack Server, Tower Server, Network Server, IP Phone, Firewall Router, Electronic Headset, Wireless Firewall, etc. Our products ranges are superior in quality and are reliable for use. They always provide the high and optimum performance to the user without creating any trouble. We are involved in making our clients’ business easier with the support of our products and qualitative services as per their specific requirements. With the aid of well-qualified experts, we are achieving new milestones year by year and fulfilling our client’s requirement.